Planning a trip to Adelaide? This is a bustling city full of sophistication, culture, fine art & cuisine, though with just as many natural wonders to explore. It’s a hub of city life and cultural activity, though with it’s close proximity to the sea, and beautiful natural surrounds, there are multiple options for the great outdoors. 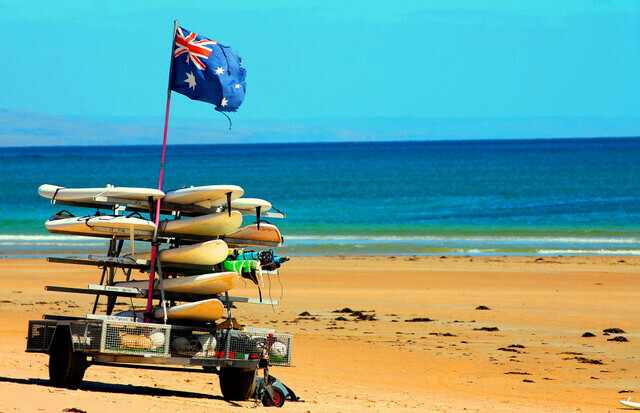 It’s quirky, and has quickly become the lifestyle capital of Australia. Regardless of your interests, Adelaide has something incredible in store. We’ve put together the following guide to make your time in Adelaide easy and amazing. The first thing to think about when planning your trip is how you’ll get around. There’s a lot to see and do in Adelaide, and many incredible regions in its surrounds, so we highly recommend renting a car. Tour companies are okay, but the expense of organized tours adds up quite quickly, and nothing beats the flexibility that comes with having your own vehicle. So, make it a priority to find an inexpensive car rental in Adelaide airport. 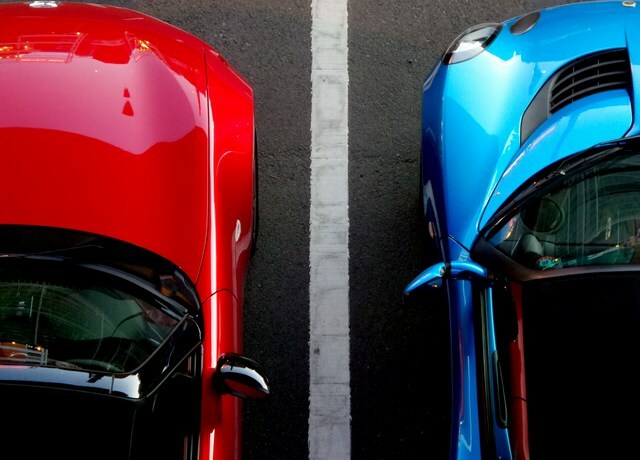 If you’re looking for ways to save on your trip, consider doing some research online to find a car hire company that offers competitive rates to visitors for all-day car rentals. Steer clear of car hire companies that charge hidden fees, and choose one that provides airport transfers so you can save even more. Some cars even come with a GPS, which makes finding your way around Adelaide a breeze. Accommodation in Australia can get quite pricey. So, look for inexpensive but quality hotels like the Majestic Roof Garden Hotel, which has rooms that come with free unlimited Wi-fi, a full mini-bar, to name a few. Another way to save is to cook your own meals. While there are many excellent places to eat, you don’t have to eat out every meal. Even if you pay a little more per night for accommodation with kitchen facilities, this could be outweighed by the savings on food. Just visit the nearest grocery and stock up on bread, sausages, or whatever food you fancy. Woolworths and Coles are the to main grocery stores in Australia. If you’re a wine lover, you’re in luck in Adelaide! This is wine country, and you’ll find plenty of wine regions to choose from, such as McLaren Vale, Adelaide Hills, Barossa, Clare Valley, just to name a few. A friendly reminder, don’t drink and drive. If you’re going to drink, have a designated driver. Want to see some fine art? Then head over to the Art Gallery of South Australia. You’ll find a wide variety of drawings, as well as displays of Southeast Asian ceramics, among others. The best bit is the free admission. If that’s not enough, you can also visit other places like the Migration Museum (82 Kintore Avenue), the South Australian Museum, the Telecommunications Museum, as well as the Old Parliament House. As a treat for your young ones, bring them to the Adelaide Zoo, located very close to the city center on the banks of the Torrens River. The zoo is home to roughly 1,500 native and exotic mammals, reptiles, and birds. It is also well-known for its Australian Wetlands Exhibit, a recreation of Seal Bay on Kangaroo Island, and a walk through Australian Rainforest Exhibit. Aside from the beach, you can also find a mix of sidewalk cafes, boutique hotels, and an exciting amusement park, where your children will surely have loads of fun. Other exciting activities you can do is to go ballooning in Barossa Valley. Nothing beats the experience of getting a bird’s eye view of quaint villages, spectacular hills, and the gorgeous vineyards of Barossa. You can’t compare the exhilarating experience of feeling the fresh air and height above the ground. One more place you can visit is Glenelg Beach, a seaside resort initially known as Holdfast Bay but was subsequently renamed in 1837 after Lord Glenelg, the Secretary of State for the Colonies. It’s just a quick drive from Addy, and it is the perfect place for you to relax and breathe in the salty sea air. If you’re feeling more adventurous, you can swim with dolphins as well as a range of other fun water activities. Which place would you like to visit in Adelaide? Have some fantastic spots or handy tips you’d like to share? Sound off in the comments below. We’d love to hear them and will update this guide as you contribute. Photo credits: Featured image (beach boardwalk) by Les Haines. Adelaide waterfront by Marek. GPO, Adelaide City by StephenMitchell. 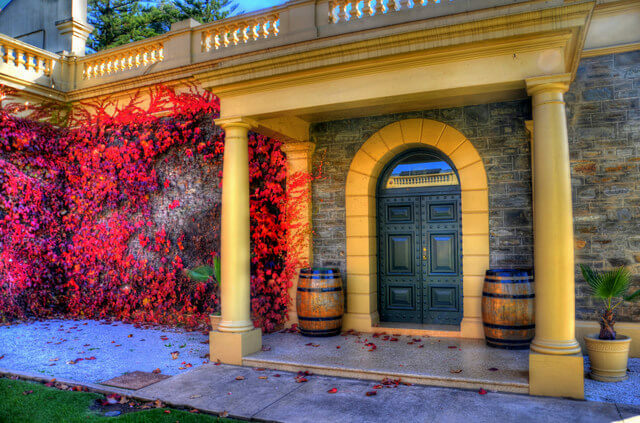 Seppeltsfield Winery by Chris Fithall. Aussie Surfboards by Les Haines. Pinterest images by Marek / StephenMitchell / Les Haines. I’m yet to get to Adelaide, so this post has been very helpful in providing tips. It’s nicely illustrated. So glad the post was helpful for you Stuart … Hope you have the chance to visit Adelaide soon! Very nice breakdown of Adelaide and how to get around, Meg. It’s looking like one of the first places we visit in OZ when we make it down there. Thanks for sharing! Thanks Carl, glad you enjoyed the post! 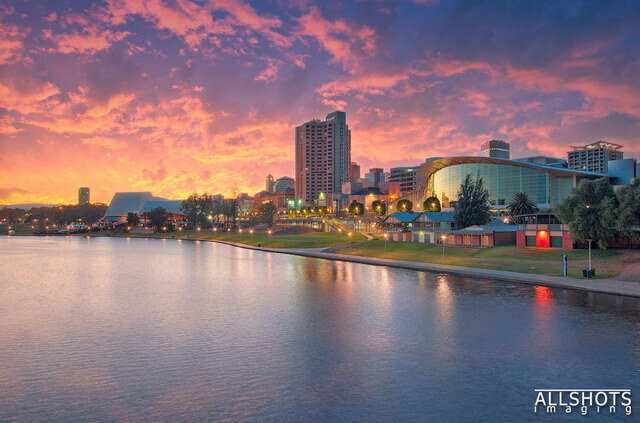 You’ll have such a fabulous time in Adelaide – good choice for your first stop in Aus! Thanks so much for this great guide to Adelaide. I’ve never even been to Australia before but definitely want to visit now that I know Adelaide is wine country! I love doing adventurous activities so ballooning over Barossa Valley and swimming with dolphins sounds amazing. For the dolphin swimming though, is this in a tank of dolphins or in their natural habitat in the ocean? Glad you enjoyed the guide Jenn – Adelaide has so much to do, and especially if you’re a wine connoisseur, this is wine country! Came back from down under a few months ago. My host there, a true-bred Sydneysider, did not really recommend Adelaide as a tourist destination. Guess I need to show him this and see if changes his mind! Frankly, I didn’t do much research to check either. Wish I had seen this earlier! Haha I think it’s one of those things where Australian capitol cities have a rivalry going between each other. As always though it’s about what’s on offer in each city and whether you personally enjoy what they’ve got going on. But I loved Adelaide and thought it was a very well rounded place for tourism. Can definitely recommend a visit on your next trip to Aus! Looks like I would straight head to the museums – starting with the free one on Art and my husband would head to the Adelaide Zoo as and when we visit Adelaide. It looks like a place that would fit in the travel interests of both of us. How many days are good to see Adelaide city covering all that you have mentioned in the post? 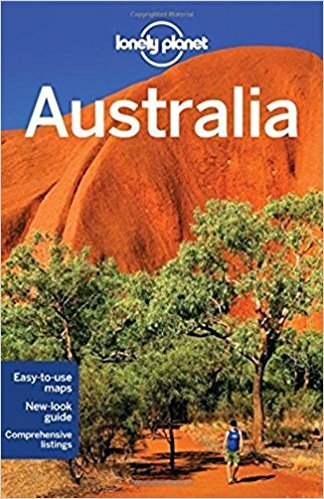 Australia has been on my bucketlist for years. Hopefully I will visit it oneday.I never thought about Adelaide but it looks very interesting! 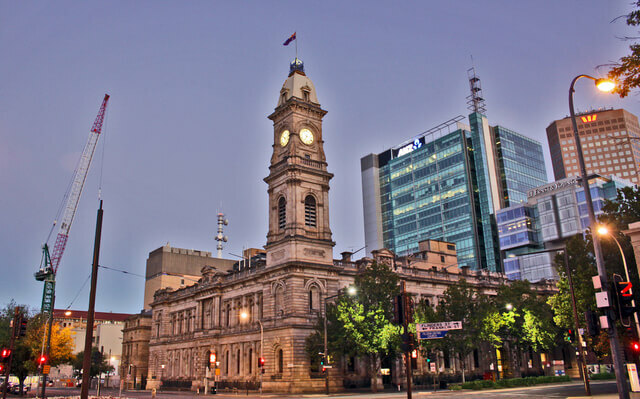 Adelaide had always been overshadowed by Melbourne and Sydney when it comes to tourism. I never knew it was the lifestyle capital of Australia! :) Love the cooking-to-save-money tip! I personally LOVE visiting local supermarkets! SO much fun! 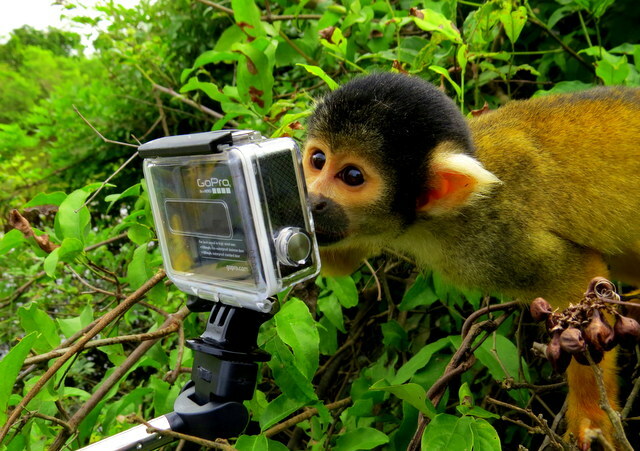 I’d love to see ceramic art, though zoos aren’t my favourite places, I loved that pic of the monkey and the GoPro. Too cute! So you have successfully given me a new bucket list item: ballooning in Barossa Valley. I googled it and the images look super inviting! Glad that we could add to your bucket list – Ballooning over the Barossa Valley is incredible – you’ll love it! Hm, so what about people who don’t drive? There should be public transport as well or is Australia as bad as the US as far as this is concerned? I always explore new cities by bus and walking around a lot. The greater Adelaide public transport system is completely integrated, so it’s still very easy to get around if you don’t drive. The same ticket/metrocard can be used on buses, trains, trams and obahn routes & transit/connection times between the different modes of transport are usually pretty good. Yep, that’s what I love most about it – it’s not crowded like the likes of Sydney and Melbourne, and it understated. Glad we could help out with info about transport. Have a great trip! I totally agree with you that renting a car is a better way to get around a city than a tour company. Tours do have a place, but generally I am much happier in a more flexible environment. It’s a great tip to look for hidden fees with a car hire company. It is not something that you think about and then when you collect your car you get a nasty surprise. As a wine lover I know that most of my time would be spent exploring the Barossa as I have heard that it is a foodie heaven as well. Hopefully I will get there one day! I’m the same – let me choose my own structure to the day, with the freedom to change it up as I go and I’m happy. We usually always aim for a car rental, though have definitely picked up our fair share of hidden fees in the past. So we’re very wise to it now and will only book through a select few companies. If you’re a wine lover you’ll be at home in the Barossa Valley – amazing food as well :) Hope you do have the chance to visit soon! We love Adelaide!! We have now been twice and I totally agree that car rental is a must if you are going to get out of the city to explore the gorgeous surrounding towns. 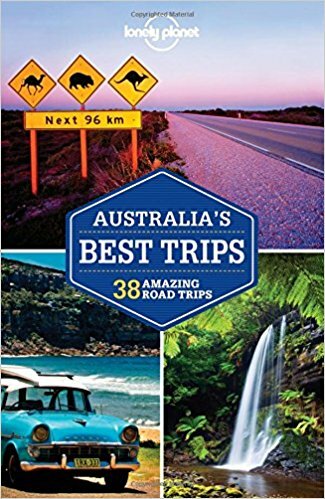 Another couple of things I’d add to the list are Victor Harbour with a walk over to Granite Island; a visit to Noarlunga Beach and Christies Beach (we enjoyed driving and exploring the coast thats for sure!) ; as well as Belair National Park. They are all kid friendly too. Awesome Elisa! So glad you enjoyed your time :) Amazing tips on Victor Harbour and Granite Island – we stayed in Victor Harbor for a few nights and loved it – was such a peaceful and beautiful spot. Took it in on the way to Kangaroo Island, which I fell in love with too. Adelaide has some amazing gems in it’s surrounds. Thanks for sharing your must sees too! I love that you include ways to save in the trip, like cheaper rentals and cooking your own meals. Those things truly do help. Art Gallery of South Australia would be the top of my list. I’m a sucker for art museums. My husband would be all about Glenelg Beach. He;s a total Beach Bum. I never knew Adelaide had a lot to offer. I’m totally in for the baloons adventure and swimming with Dolphins. I’ve only recently started enjoying wine drinking after my visit to Georgia and would love to taste some of the exquisite Australian ones. Quick question, apart from car rental options are there no budget taxis like Uber and Grab? I personally enjoy using these option while on travel. Totally hassle free and cheaper in most places and yes, you can have a little bit more of the drinks too. I hope Australia calls for me soon. Glad we could change your perception! 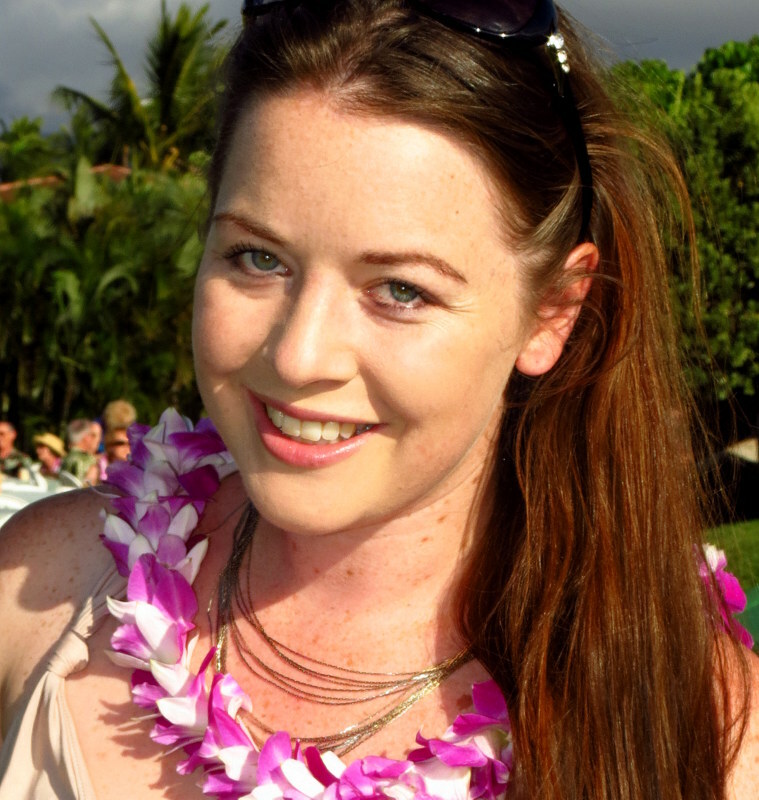 Definitely a lot to do adventure wise – ballooning, dolphins and wine – can’t go wrong! I have never been to Australia. On a first visit, I would have probably not included Adelaide to the list of places to visit. 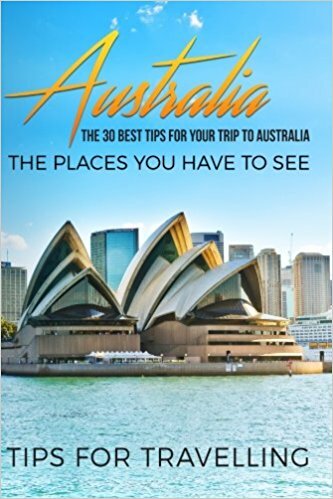 Thanks to your post I now know how to plan a trip to this hidden jewel of the land down under. 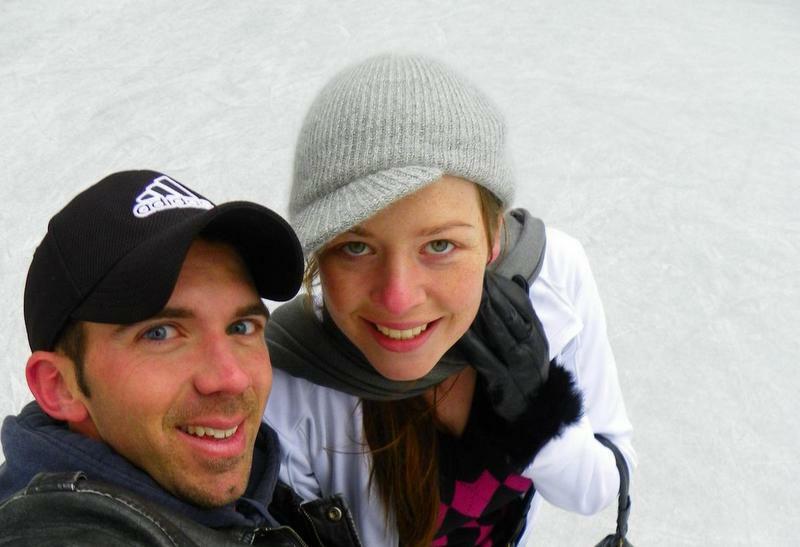 Thank you for this blog it will be easy for me to plan our family vacation in Adelaide this year!